Learning how to take care of your teeth is as much a part of growing up as learning to tie your shoes or memorize the multiplication tables. When it comes to our teeth, many of us still have a thing or two to learn. Here are 5 facts about your pearly whites that you might not know, even after all these years. 1. 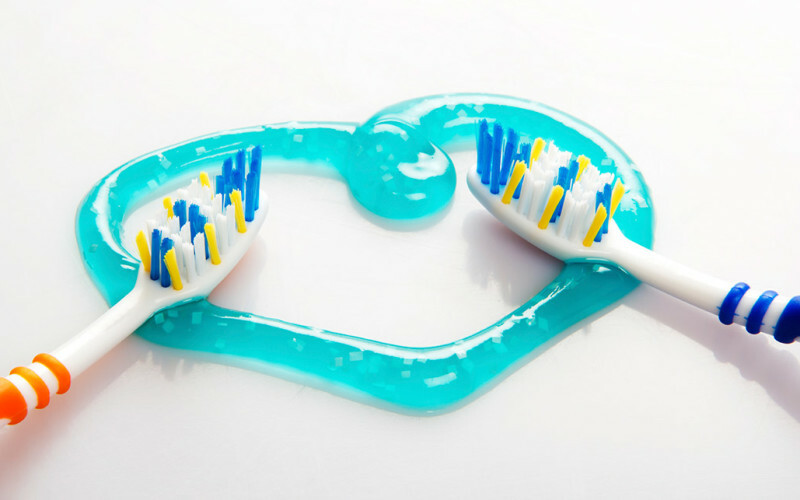 Your teeth’s best friend might not be your toothbrush. Bacteria can stick to your teeth, producing acids that eat through the enamel on your teeth. Saliva, that trusty old friend, helps rinse out your mouth and neutralize that process. People who take lots of meds can be especially susceptible to dry mouth and possible tooth decay. 2. Snacking and sipping may be hurting your teeth. Worse than a big old piece of chocolate cake after dinner or that mid-afternoon Snickers break is the non-stop snack-snack-snacking or sip-sip-sipping that goes on in offices and schools across America. It’s not just how much sugar or starch we eat, It’s how you eat. Remember, the acids created by the bacteria that attack all that carbohydrate-laden stuff you swallow — whether it’s that spoonful of sugar in your morning coffee or that nicely glazed donut — are what get at your teeth. So the more often you eat sugars and other carbs, the more often those acids get a chance to chip away at your choppers. 3. Yes, you can get too much fluoride, but. The naturally occurring mineral fluoride can help prevent tooth decay. That’s not disputed. How much fluoride is too much is the question. Because of ever-increasing sources, including naturally occurring; fluoride added to community water supplies; and what you get in mouthwashes, toothpastes, and elsewhere, the U.S. Department of Health and Human Services recommended in 2010 to limit the amount of fluoride in community drinking water, dropping it from a previous range of 0.7 to 1.2 milligrams per liter to a flat 0.7. And keep an eye out for kids. Children up to 3 should use a rice-sized smear of fluoridated toothpaste. Kids from 3-6 should use a pea-sized amount. 4. Toothpaste should be spit out, but not necessarily rinsed away. Other than just being awfully gross, if you (or a kid in the house) makes a habit of swallowing toothpaste, you (or that kid) stand a chance of getting too much fluoride. As the tube says, don’t swallow. But it’s not necessary to rinse afterward. You can rinse, but the longer the fluoride stays in contact with your teeth, the more effect it can have in preventing tooth decay. The idea behind not rinsing is the same as it is for in-office treatments where your dentist in Fresno CA, Dr Donan, applies a fluoride-rich gel, paste, or “varnish” to teeth and often let it sit for approximately 30 minutes. Some people at higher risk can undergo these treatments several times a year. Your dentist in Fresno CA also can prescribe high-fluoride toothpaste or rinses. 5. Your teeth can be an indicator of your overall health. One in 7 adults aged 35 to 44 has gum disease. For adults older than 65, that increases to 1 in every 4. That’s a problem, because tooth decay and other infections in the mouth may be associated with health problems such as heart disease, stroke, and diabetes. Oral health is an integral part of overall health. What people don’t realize is that people who have higher levels of gum disease also have a higher level of heart disease. They also, she says, have a higher rate of low birthweight babies and premature births. One group of people who have higher levels of gum disease, are people who have diabetes.. I think people need to realize that the bacteria and the inflammation associated with your body fighting the bacteria can have an effect in other areas of the body. We don’t quite understand all of this yet. But we know there’s a link.